Please refer to our size chart on the left and choose the right size for yourself.Thank you. 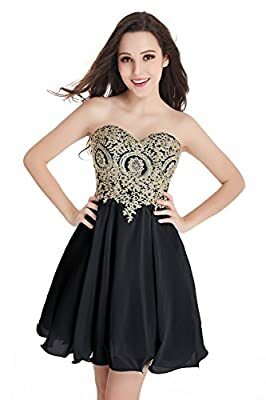 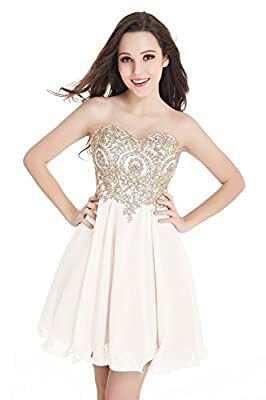 1)Unique Non-slip Design 2)Concealed zipper at back 3)With Gold Applique embellished 4)Hand Made Fit for Junior Party, evening, prom, cocktail party, school formals, black tie affairs or any other formal event. Short Homecoming Dress Princess Juniors Birthday Dress with Applique Best quality and price ever!!! 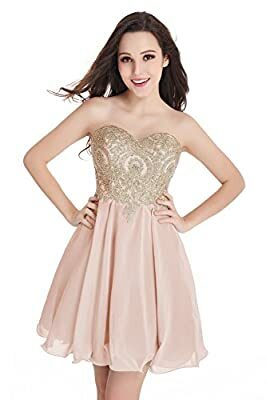 For more dreamy and affordable dress, please click in our shop Babyonlinedress above the Title.